That’s right folks… I am headed to Manchester TN to camp out in a field with Mike and his friends and attend one million concerts. Ok not one million… but close to that. 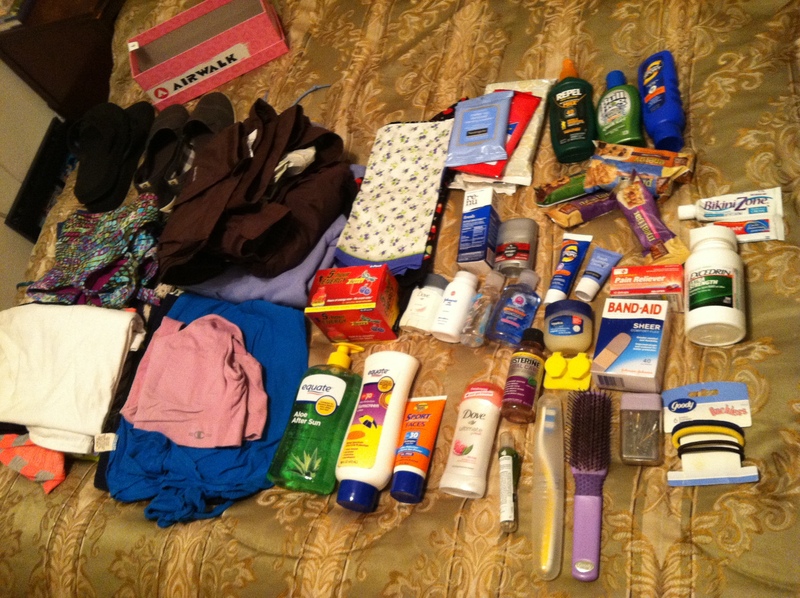 Bonnaroo 2012… here I come! I have never been to Bonnaroo before, or anything like it. Luckily, Mike’s friends have all been before so they’ve been leading the group with their veteran Roo knowledge. I am placing my trust in them completely, because I have no idea what to expect. The only thing I know for certain is that I am going to be listening to some truly amazing music, and this will be a wholly and completely unique experience. It begins today but we are not arriving until tomorrow (Mike’s friends assured us that this is the ideal way to do it… and again, complete trust in their knowledge of Roo). Plus, we all have to work today (womp womp). Anyways… as I mentioned when I was going to Nashville…. I hate packing. And once again, I waited until the last minute to do it (shocking… I know). I feel like I’ve been doing little things to get ready all week though. Monday night I went to Target after work to pick up a couple clothing items. I know it’s dumb to buy new stuff for an event where you will probably ruin everything you bring, but I wanted to buy junky stuff I wouldn’t mind getting ruined (and I like all my clothes so this was a problem). It’s going to be really hot too, so I wanted to make sure I had appropriately cool clothing. I got a couple pairs of shorts, a tank top, a sundress, and a pair of junky slip on style shoes (I wanted something cheap – $15 chyeaaa – that was light / airy without being a flip flop). 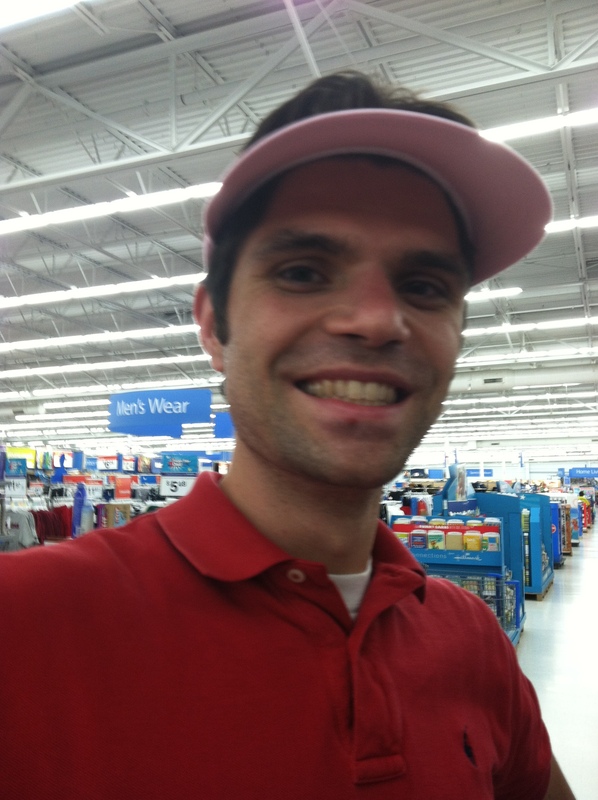 Tuesday night Mike and I were out in the suburbs so we hit up Walmart to get supplies. We got food to eat at the campsite and in the car (its about an 11 hour drive from DC to Bonnaroo. We are doing 4 hours tonight to meet up with Mike’s friends in Roanoke, and then the remaining 7 hours with them. Monday we are doing the whole haul… I am going to need snackage), water, Gatorade, some camping supplies (batteries for flashlights, a tarp, some rope, etc. 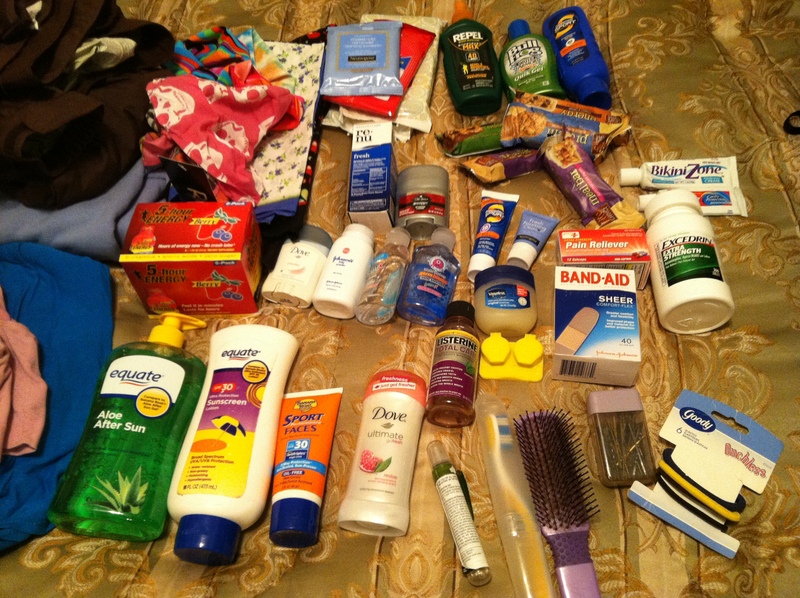 ), SUNSCREEN, and some hygiene stuff like baby wipes and hand sanitizer (to reduce the stank). 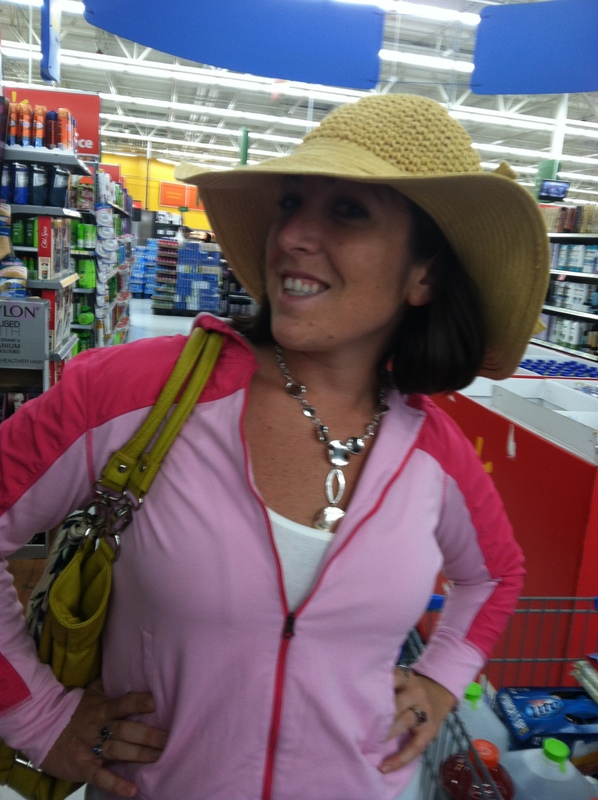 Mike and I also spent a little time trying on ridiculous hats, which definitely made it more fun. Then last night, when I couldn’t procrastinate any longer… I packed. I waited until too late, and now I am sleepy. Story of my life. I’m not really bringing a lot of clothing. I don’t really care what I look like while I am there, and I’m going to get gross so there’s really no stopping it. I brought bandannas and headbands to cover up my hair because without a hairdryer and flat iron there’s not much I can do. 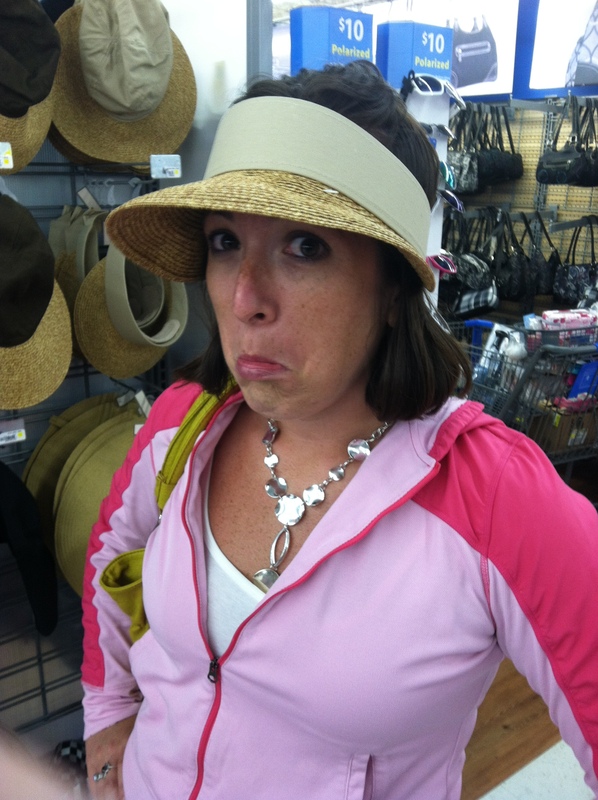 I was much more concerned with other items… especially sunscreen. As a disclaimer – I do not regularly drink stuff like 5 Hour Energy. However, I get migraine headaches and those are a great quick fix if I start getting one. I got a migraine while attending the Preakness in 2007 and it was one of the top 10 worst days of my whole life. I would really like to avoid that happening this weekend, so I’m taking all necessary precautions. I charged up all my electronics and loaded up my iPod with Podcasts to listen to in the car (Including but not limited to… The Adam Carrolla Show, Savage Love, and This American Life). I think I’m ready to go. Prescheduled posts will appear on Friday and Monday while I am away, and I’ll be back Tuesday with updates from what will surely be an unforgettable experience!!! Since Amy didn’t get to see Fun. in Santa Fe last night, I’ll try and take a video on my phone during their set for her! Also a big, big, big THANK YOU to my big bro for checking on Fig while I am away this weekend. He’s super excited to have time with Uncle Doug. HAVE FUN! I will live vicariously through you! I’m sure it will be crazy, and good call on not wanting to ruin clothes.